Nicolas Martin and Antoine Spire, former journalists at the radio “ France Culture”, are the authors of many books. 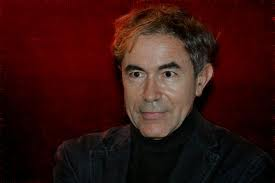 Their “China, the dissidence of François Jullien,” includes an analysis of the main themes of the work of the philosopher followed with a dialogue in which our two authors take, without complacency, the various issues they ask François Jullien to address, including his latest book (“The Philosophy of Living”). His years in the Ecole Normale Superieure (called Normale Sup), the lectures he followed there, Greek philosophy, linguistics, are crucial. But F. Jullien feels the need for a distance, a gap, to elucidate the most fundamental presuppositions of Greek and European philosophy. China will provide it; a first trip in 1974 and then he spent two years in 1975 in Beijing and Shanghai. A period of ideological struggles, the end of the Cultural Revolution and in France and vigorous debate around the “giant” of Chinese literature, Lu Xun, manipulated by Mao Zedong. He is preparing a thesis on the author, translates two of his books, stays away from Maoist groups (“I’ve never joined a political party, union or association … well, I’m not a network member … “) even if he publishes in a collection headed by Michelle Loi, a high priestess of Maoism at the time. His book “Lu Xun, Writing and Revolution”, brings fame to the writer without ideological simplifications and is an interesting document on the dominant approach at the time: “If there is a real Lu Xun it is the one of his writing and it is through the study of it that we will understand him. Or again, the only real identity is that of the writing itself ”.The debate with Antoine Spire on the history and legacy of structuralism broadens the discussion and is very interesting. The authors discuss at length this approach and its evolution and F. Jullien adresses recent years criticism. He was accused to ” misuse” China, to “compare” China and Europe, to write about China in an “abstract” way and to have no respect for history. J. F. Billeter goes so far as to give the title “Contre François Jullien” (Against François Jullien) to a short book sometimes excessive and unfair that highlights the risks of the approach of F. Jullien. Some of this criticism is sometimes shared by N. Martin and A. Spire specially on the relations between history and the notion of commitment. In short, a passionate debate, confrontation of ideas but also of personalities. F. Jullien, meanwhile, is abrupt vis a vis colleagues and sinologists, he has a very demanding and controversial approach of translation work and emphasizes that sinology has developed in a context dominated by history and where the benefit of a philosophical approach has been blurred. (“It is striking that … sinologists who were philosophers have abandoned philosophy when they came into sinology …”) or even “I simply note that sinologists who criticize me … have produced nothing themselves since such criticism … And more generally, which new books in sinology? . He also stressed that the opposition “order / disorder” and the primary objective of personal wealth allowed to sideline the democratic demands. The risks of nationalism are not only threatening China, “as everywhere, when socialism fails, there is no more collective political ideal and it is nationalism which comes as an alternative”. Like for many Chinese intellectuals, the rule of law is for him the hot spot of current ideological struggles in China, far more than the immediate introduction of universal suffrage. The move towards a position of major power involves of course many risks given the tensions in China today and the uneasy reactions of its neighbors. Moreover it is difficult to exert political hegemony without proposing a model, although some scholars speak of a “Chinese model” that can be opposed to the “western model”. Western model characterized by the promotion of human rights that the book puts into perspective by recalling several debates sometimes unpleasant. Another debate with Marcel Gauchet permits, without stress, to develop this theme for the general public. F. Jullien gives an “unconditional and absolute” value to human rights from their negative side (the “NO” against the intolerable), while their positive side ( acceptance of values) seems linked to the cultural context of Europe where these human rights were born. But the evolution of Europe worries him because it fails to build itself “because it can not think and accept its diversity, ie to think it as an asset of creative development”. As for France, “anxiously attached to its benefits, unwilling to change, unwilling to risk more, (it) seems increasingly out”. F. Jullien is also very pessimistic about the role of the media, journalists and intellectual debate in France, but he denies to be negative. “Either we stay fearfully attached to our preferences without understanding the renewal of history which is happening and one is” reactionary “or we judge as negative some developments involved because we see the risks of loss of humanity and then we are resisting. ” He calls this not “rebellion” but “dissidence”. Nicolas Martin / Antoine Spire “China, the dissidence of François Jullien”. Editions du Seuil, January 2011, 300 pages, 20 euros.